You'll fall in love with this country style Pie Safe Pantry! This design is a unique look for an old fashion favorite! Pie Safe’s were introduced by the Pennsylvania Germans in the 19th century. It was originally used to store pies and other baked good before the invention of the refrigerator which is where its name is derived from. 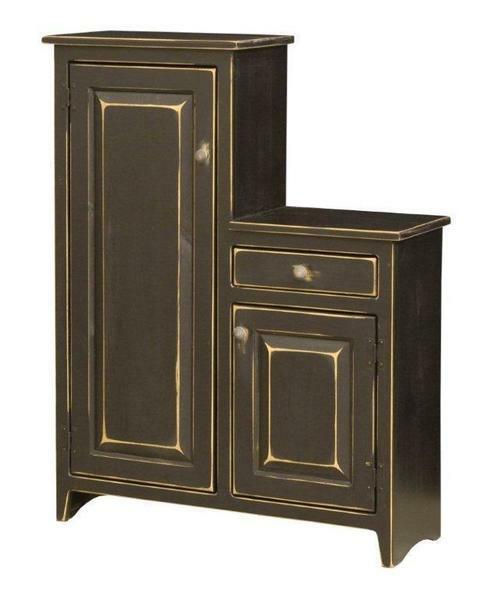 The This reproduction piece will be a great additional to your colonial style home! This unique looking pine pie safe is shown in a black painted finish and features three stationary shelves.